Products designed to mask thinning hair problems often fall short. It's high time for a hair loss solution that is easy to use and actually looks like the hair you were born with. Enter Forila and cue your self-confidence! You might have played with magnets before. What happens if you put the like magnetic poles of two magnets close together? They push each other away. In contrast, if you move the opposite magnetic poles close together, there will be a strong force bringing them together. The same principle applies with positive and negative charges. In short, opposites attract and likeness repels. 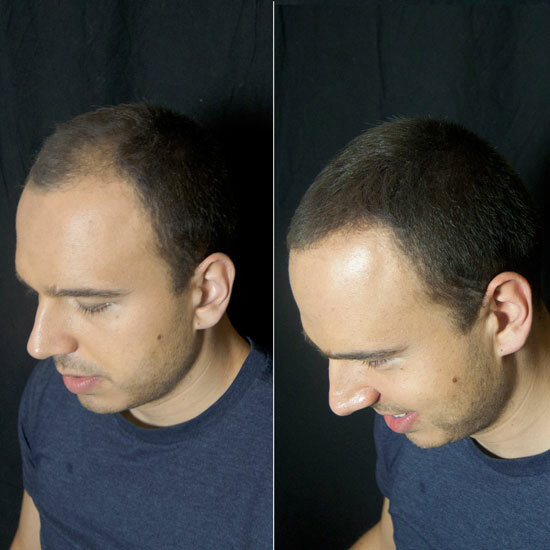 This basic scientific principle of attraction governs Forila's hair loss breakthrough. Your hair is positively charged. 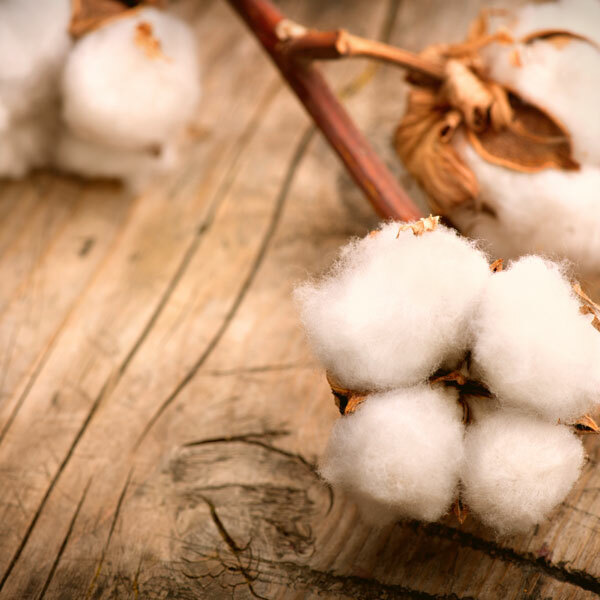 Our 100% cotton fibers hold a negative charge. So they stick together, as nature intended. Did you know that this force is stronger than gravity? So even if you decide to channel your inner child and hang upside from the monkey bars, each and every hair building fiber will stay perfectly in place. Other hair loss remedies that use positively charged wool or other animal, fur-based hair fibers simply don't stay in place because they hold the same charge as your hair. There's no attraction. It's no surprise that they fall out so easily or look so sparse. At Forila, we don't fight the laws of nature and physics. We work with them, all to your benefit. Our fibers are a match made in heaven for your existing hair – they naturally want to work in sync. When you bring them together, they automatically bond to create a full, thick head of hair. Make sure your hair is completely dry before you apply Forila. Leverage the power of your hair products. You can use wax on your existing hair before you apply Forila, and/or use hair spray after you have applied Forila to lock in your look. Taking it easy and applying Forila bit by bit ensures you get the most natural looking result possible. By adjusting the tilt, you can increase or decrease the amount of fibers that come out of the bottle. To apply Forila on the front section of your hair, place your hand under your hairline to cover your forehead and protect your face as you apply the fibers. You may need a few applications to practice getting the best results, but not to worry, you'll soon be an old pro. Many Forila users found their own tricks and have shared their experiences in the customer reviews section of the website. 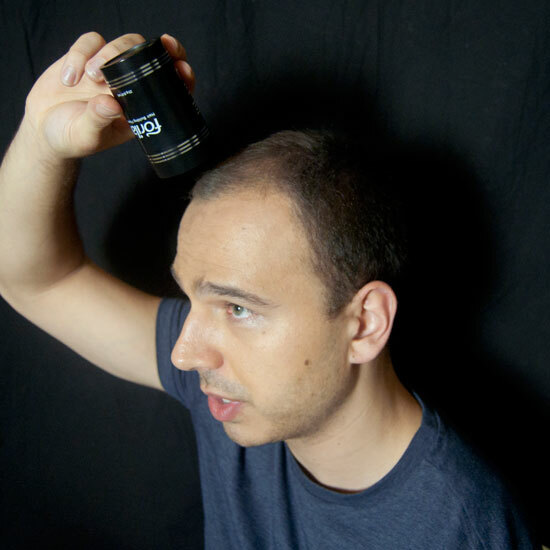 Tilt the bottle at a 45 degree angle and hold it 1-3 inches above the thinning area, or bring the bottle opening closer to actually touch your hair. 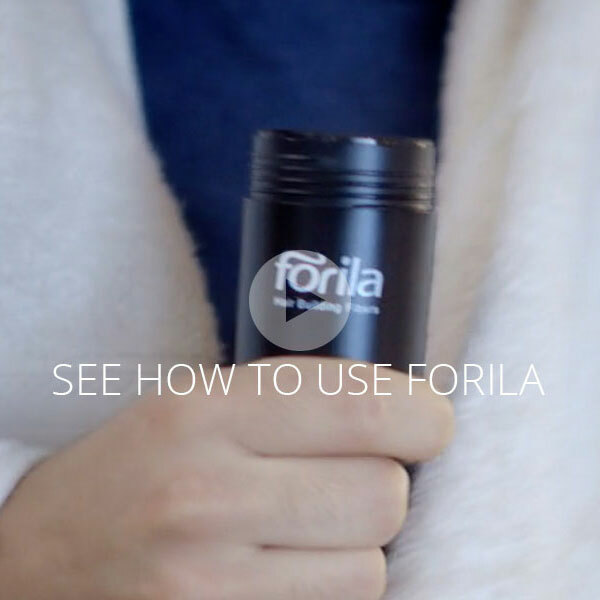 Note: Forila should be used only on dry hair. Wash, dry and style your hair as usual. Start your application from the back of your head, working your way up to the front. 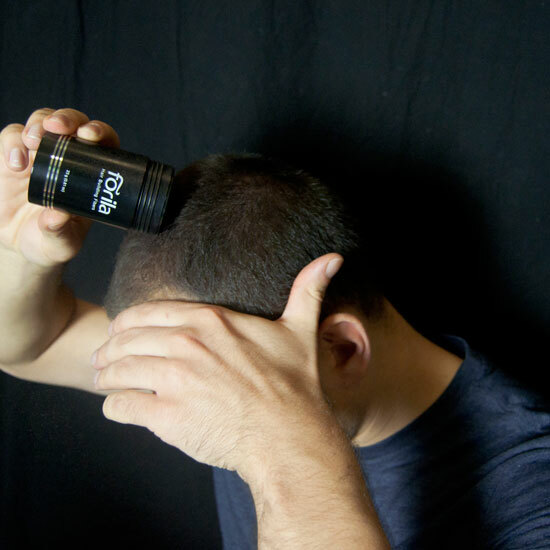 Distribute the hair building fibers by gently shaking or tapping the bottle over the thinning area. Repeat the application until your hair looks thick and full. Very gently pat your hair in between applications in order to properly distribute the fibers. And there you have it. A full head of hair, in no time flat!